Administrative/Management Commissioners: This includes the District Commissioner and the Assistant District Commissioners. Their primary responsibilities are recruiting, training, guiding, and evaluating the Commissioner staff. In larger Districts you may find that they are are line managers and specialty advisors within the Commissioner staff. For example you may have Assistant District Commissioners that manage several Unit Commissioners in a Service Area and others that specialize in rechartering, training, or the administration of Commissioner service. Unit Commissioners: Unit Commissioners are assigned to one or more units, which they serve and counsel. In some Councils and Districts, Exploring units are served by Unit Commissioners known as Exploring Service Team Members (must be registered as a Service Team Member with the Explorier Program in the Learning for Life Program). What is a unit commissioner? A unit commissioner is the quality control officer who coaches unit adults toward success. What is a commissioner staff? It is a team of unit specialists and roundtable specialists charged with ensuring a quality program for all the youth in its assigned units. The membership function strives for growth through the organization of new Scouting units and growth through new members joining existing units. The finance function sees that the district provides its share of funds to the total council operating budget. The program function concentrates on helping Scouting units with, camp promotion, special activities, including community service; training adult volunteers; and youth advancement and recognition. The unit service function provides direct coaching and consultation by district volunteers for unit adults to help ensure the success of every Scouting unit. The membership, finance, and program functions are carried out by members of the district committee. The unit service function is carried out by the district commissioner staff. The district chairman is a member of the council executive board. The district commissioner meets with the council commissioner and other district commissioners on a regular basis. The chairman of each district operating committee may be a member of the corresponding council committee. Helps each unit earn the Journey to Excellence Performance Award. Uses the annual commissioner service plan, with its scheduled opportunities for commissioner contact with units. Knows each phase of the Scouting program and is able to describe what each is and how each phase works. Attends unit meetings to observe the unit in action, assesses its special needs, and determines ways to help each unit succeed. Regularly visits the unit leader to listen and offer encouragement, and provides appropriate support. Works to ensure effective unit committees by attending meetings. Helps in developing a good relationship between unit leaders and chartered organization leaders. Knows the communities where his or her units are located. Knows the district and council resources that can help his or her units. 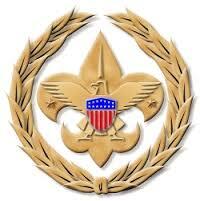 Sets a good example in Scouting ideals by demonstrating helpfulness, proper uniforming, and good people skills. Continues growth as a commissioner through training, experience, and consultation with others in the district. Involves unit personnel in Cub Scout and Boy Scout roundtables, Varsity Scout huddles, and Explorer officers' association meetings. Assures that proper techniques are used to select and recruit unit leaders. Facilitates on-time annual charter renewal of all assigned units. Helps the unit conduct membership inventory of youth and adults. Helps the unit committee chairman conduct the charter renewal meeting. Sees that a completed charter renewal application is returned to the council service center. Presents the new charter at an appropriate meeting of the chartered organization. Meets and becomes acquainted with district commissioner and/or assistant district commissioner. Discusses ways to learn the job. Studies Highlights for Unit Commissioners ... an Overview and other materials suggested by your assistant district commissioner. Views the video, The Unit Commissioner. Helping Units Succeed, No. AV-04VO01. Arranges for an early orientation session with the district commissioner or assistant district commissioner and ask that he or she accompany you to visit assigned units. Puts important Scouting dates on calendar, including monthly meetings of the district commissioner staff, and the next commissioner basic training course. If you have done these five things, you are off to a great start. The District Commissioner reports to the Council Commissioner, supervises the commissioner staff, and is responsible for the unit service function of the district. Assistant District Commissioners report to the district commissioner and are responsible for an assigned share of units in the district and supervise the commissioners who serve those units. Together these leaders recruit, train, supervise, and motivate the commissioner staff so that Scouting units in the district receive regular helpful service. As a unit commissioner, you should stay in close touch with your assistant district commissioner and district commissioner to discuss how the district can help to strengthen each unit's programming and leadership. How Will I Know I Did a Good Job? What about the less measurable qualities of a good commissioner?